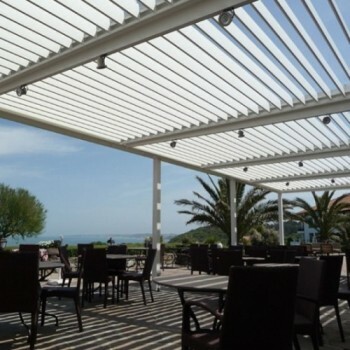 For more than 17 years, we have been designing and manufacturing the Bioclimatic Pergola with adjustable louvers. Holder of the original patent in 1998, our expertise and experience have raised us to the top of the market. 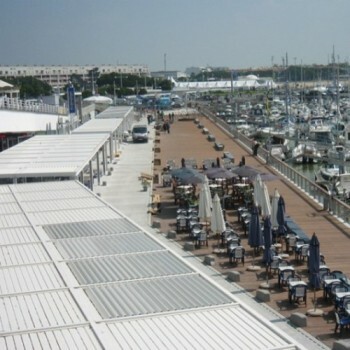 More than 6600 pergolas installed since her creation ! 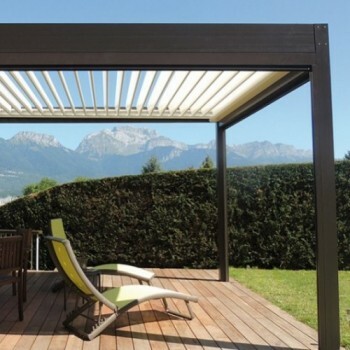 The bioclimatic pergola allows you to optimize and expand your outdoor living space. As an extension of your home, it provides a place to relax and entertain. The adjustable louvers rotate through 160 degrees, protecting you from the sun and closes completely with its own dedicated gutter system to keep you dry in the rain. 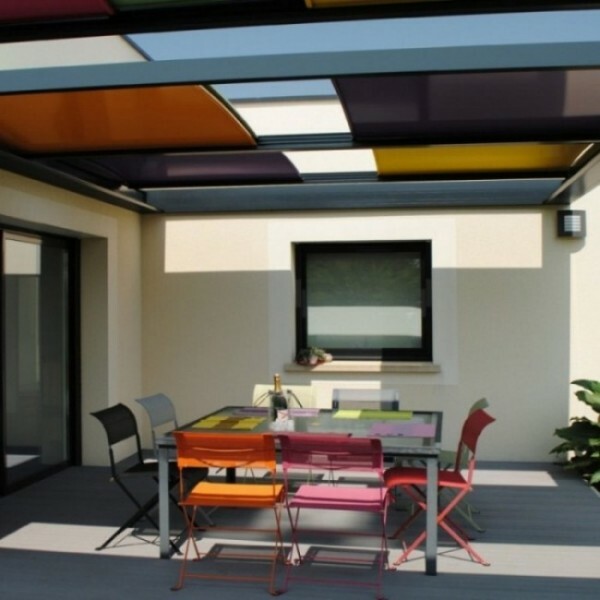 The Arlequin reinvents the pergola. With its colored sliding panels this simple design allows you to decide where you want the shade. 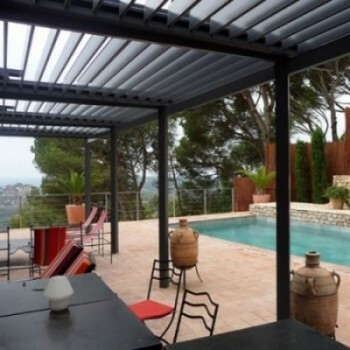 These innovative pergolas will give you access to a new living space and keep you protected from all weather conditions. Do you want to use your patio without being troubled by changing weather conditions ? Do you want to create a new living space for entertaining and relaxing ? 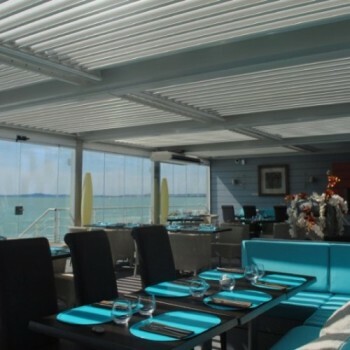 Do you want to replace your old shading system with something more stylish and modern that is built to last ? 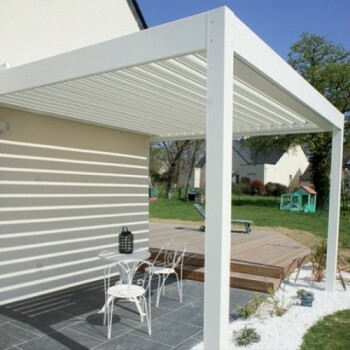 Patio, terrace, deck, pool-side or outdoor kitchen, your bioclimatic pergola will become a new room for your home. 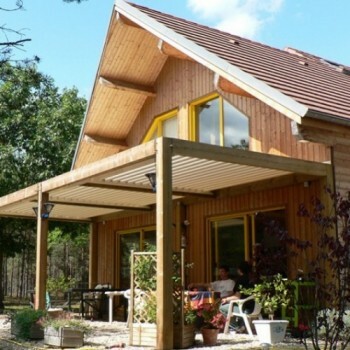 Completely adaptable to any architectural configuration - old, new-build or renovation. SOLISYSTEME enhances any property and fits perfectly with bioclimatic, energy efficient, green and passive design processes. Do you own a hotel, restaurant or corporation? Do you want to profit from a previously unused space: deck, terrace, patio? Do you want to optimize your space and increase your business potential without being dependent on the weather? Do you want to stand out from the crowd by offering an innovative service area to your customers or employees? 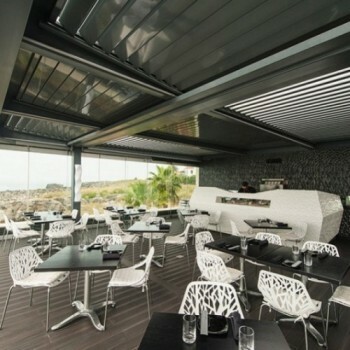 A bioclimatic pergola optimizes your seating capacity and keeps your guests comfortable, shaded and dry all year round - no matter what the weather conditions! 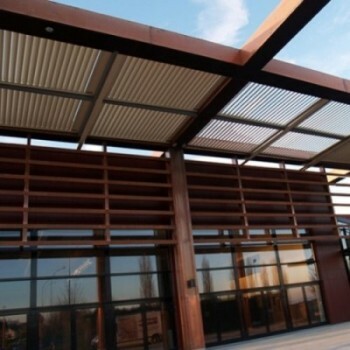 Durable, aluminum louvers adjust to sunlight fluctuations for comfortable ventilation, brightness, and temperature control. Plus, the louvers fit perfectly together to form its own dedicated gutter system. Our range of accessories can help you create a welcoming atmosphere throughout the day with LED lighting and heaters. A worthwhile addition and return on investment for any business looking to expand an outdoor space. Do you want to offer an innovative, functional and elegant solution for your client's existing or expanding outdoor space? 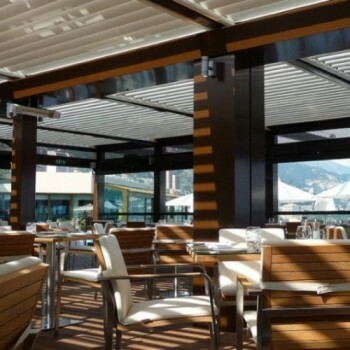 Do you want to feature a shading solution in communities, schools, retirement homes, country club, hotels, restaurants and more? 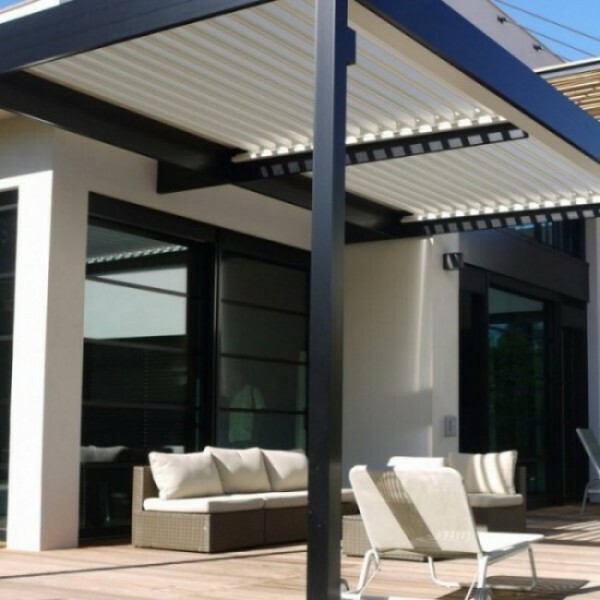 The answer is our adjustable louvered roof pergolas made of aluminum. We combine form and functionality to your project. 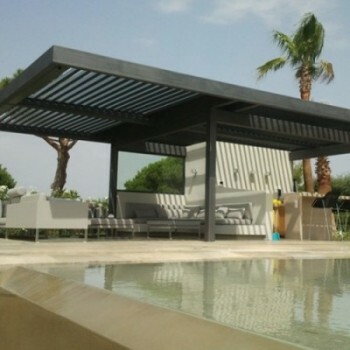 Our expertise in custom-made pergolas is the guarantee of a durable solution that will be marked by its originality and beauty.